Here we go again! Time to continue with our journey through Hot Stove season. With the GM meetings happening at the end of this week, you can bet that the dominoes will continue to fall as General Managers around the MLB continue to shape their rosters for the upcoming season. Having already tackled where the top position players and starting pitchers will wind up, we now move onto the top relief pitchers available. Who Should Sign Him: Boston Red Sox. Not only are they in a position where they could lose Kimbrel, but their set-up man, Joe Kelly, could also be pitching for a new team come Spring Training. Having to potentially lose both Kimbrel and Kelly, leaves the reigning World Series champions with no clear replacement for the upcoming season. One thought, in favour of allowing Kimbrel to leave via free agency, would be the allure of the draft pick compensation that the Red Sox would receive as they have already qualified Kimbrel. Who Will Sign Him: Philadelphia Phillies. One of the more prevalent offseason storylines thus far has been that of the Phillies and their willingness to spend a “stupid” amount of money. In Kimbrel, the Phillies get a pitcher who has been one of the best closers in baseball since becoming the Braves everyday closer in 2011. In his eight seasons, Kimbrel has made the All-Star team seven times and garnered votes for the Cy Young five occasions. Over the past three seasons, he’s struck out 42.3% of batters faced, a stat that leads all MLB relievers, as well as featured an average fastball of 97.6 mph; good for third best amongst relievers over that same time. Although they could still find a closer via the trade market – I thought for sure they’d be the favourites to trade for Edwin Diaz – signing the veteran Kimbrel may be the Phillies smartest option as it allows them to use their farm system to fill other holes if need be. Who Should Sign Him: Minnesota Twins. Despite a down year in 2018 that saw the Twins take a step backwards, and Paul Molitor lose his job, the outlook in Minneapolis heading into 2019 should be a positive one. With the Indians staring down a potential rebuild on the fly, the Twins could take advantage of an incredibly weak division and become a legitimate threat to takeover the Central. Even though they have more than a few holes to fill on their roster, the Twins can’t miss the opportunity that this offseason presents to add an impact arm to close out games. Sure, the duo of Addison Reed and Trevor Hildenberger performed admirably following the trade of Fernando Rodney, but the addition of a bonafide closer would allow both of them to return back to their set-up roles, a role they’re better suited for. Who Will Sign Him: Atlanta Braves. Although their bullpen is not a major cause for concern – thanks to the duo of Arodys Vizcaino and A.J Minter – the Braves have been rumoured to be looking into some of the “bigger” names available on the free agent market. The addition of one of these “bigger” names would allow the Braves to move the aforementioned duo of Vizcaino and Minter into set-up roles, thus solidifying the back-end of their bullpen. Even though the Braves have been rumoured to have interest in Craig Kimbrel, whom was drafted and developed by them, the 31 year old closer’s price tag may be one that the Braves should avoid. It is not that the Braves can’t afford to sign Kimbrel, it is just that said money may be better used on adding a tier two closer like Familia; as well as another starter and outfielder. Aside from financial ones, another reason for the Braves to consider Familia, who came up with the Mets, are his past successes pitching in the NL East. However, one possible deterrent to signing Familia could be his history of injuries and concerns over his durability. Who Should Sign Him: Oakland A’s. Already having Blake Treinen in place as their closer, the Athletics could target a veteran like Miller or Zach Britton, both of whom are coming off “down” years, to become their eighth inning set-up man. The signing could be a win-win for both player and club, as it allows the pitcher to (hopefully) re-establish themself, while the team (hopefully) gets an elite bullpen arm at a potential discount. Miller, being the older of the two names mentioned, may be the better signing for the Athletics because if they do slip in the standings, they could offload Miller to a contender at the deadline – a pure Billy Beane move. Who Will Sign Him: Boston Red Sox. As mentioned in the profile of Craig Kimbrel, the Red Sox are currently looking at having to either re-sign or replace both their set-up man and their closer. While there is still the possibility of a reunion between the Red Sox and both Kimbrel and Joe Kelly, the addition of Andrew Miller would fill two needs: a left handed reliever and a top tier set-up man. Hypothetically, if the Red Sox do re-sign Kimbrel and Kelly, as well as adding Miller, it would immediately give Boston one of, if not the best, back ends in the game. With strong bullpens being one of the major factors to a teams success for the past decade, the Red Sox would be wise to bolster theirs by adding one of the best left handed relievers available. One other thought in favour of adding Miller: already having one of the better starting rotations in the MLB, the Red Sox could protect leads and “shorten the game” by getting the ball from the starters to their bullpen as quick as possible. Who Should Sign Him: Chicago Cubs. Arguably the best relief pitcher in the MLB heading into 2017, Britton saw his career momentarily derailed by separate injuries to both his forearm and achillies tendon. These two injuries led to his 2017 season being effectively written off, and forced him to not make his 2018 debut until mid June; shortly before he was traded to the Yankees. Although he didn’t pitch like his usual dominant self in 2018, Britton’s past successes, 95 mph sinker from the left side, and best GB% amongst relievers, will definitely put him in demand. In fact, his struggles and past injury concerns could see more teams willing to sign him in the hopes that he regains his 2016 form at a discounted rate for their pocketbooks. Although there will be numerous teams interested in his services, you can bet that he will most likely look to sign with a contender. With no clear cut closer in the fold, the Cubs could pursue Britton to be their closer and hope to land him at a bargain price. Who Will Sign Him: Los Angeles Dodgers. The Dodgers have been linked to acquiring the left handed Britton for the past two seasons. Now they can get their man without having to part with any of their MLB players or prospects in order to do so. Even though their current closer, Kenley Jansen, is recovering from heart surgery and, barring any setbacks, he is expected to resume his ninth inning duties. That being said, by signing Britton, not only would the Dodgers have immediately strengthened their bullpen, but they will have also added some insurance at the closers role. This potential signing could be beneficial to both parties as the Dodgers could buy low on a former top closer in baseball, and Britton can look to re-establish himself as a top relief pitcher. Who Should Sign Him: Colorado Rockies. Last season, the Rockies went out and signed free agent relief pitchers, Bryan Shaw and Wade Davis, to strengthen their bullpen. Although the duo were expected to have a bit of a rough time adjusting to pitching in the thin air of Denver, no one could have predicted just how rough those adjustments would be. After a troubling start to the season, Davis managed to straighten his season out and wound up with a career high 43 saves. Shaw, on the other hand, was one of the statistically worst pitchers in the National League. Both, Shaw and Davis, are signed through 2020, and both of them will be looked at to rebound from their 2018 woes in order for the Rockies to return to the postseason for a second consecutive season. Given the issues with their bullpen last season – paired with knowing what they already have in Ottavino – re-signing the RHP should be the Rockies number one goal this offseason. Its not too often you know how a pitcher will pitch at Coors Field and, price tag aside, the Rockies might not find a better replacement. Who Will Sign Him: Colorado Rockies. As mentioned above, the Rockies have some serious bullpen concerns, and they already know what to expect from Ottavino. Why try and replace a known with an unknown? Having already hypothesized where the top tier position players would sign, we now turn our attention to making half-assed guesses… I mean, educated assertions to where the top Starters available will wind up. Who Should Sign Him: Philadelphia Phillies. It’s no secret that the Phillies plan on throwing some serious cash around. It’s also no secret that they plan on upgrading their starting rotation. They have already been linked to the big names (Paxton, Kluber, and Carrasco) available on the trade market, but by signing one of the premier free agent arms instead, they could choose to trade their top prospects to fill other areas of need. With the likes of 2018 Cy Young nominee, Aaron Nola, and 2015 Cy Young winner, Jake Arrieta, already in the fold, the Phillies wouldn’t need Corbin to be their figurative ace; a role he is better suited for. The trio of Nola, Corbin, and Arrieta immediately give the Phillies one of, if not the best, front end of the rotations in all of the MLB. Something that will come in handy when the calendar turns to October. Who Will Sign Him: New York Yankees. Entering the offseason, the Yankees had one clear goal in mind: upgrading their starting rotation. Despite having already traded for LHP James Paxton, it should come as no surprise that the Yankees, Corbin’s childhood favourite team, have already been rumoured to be the front-runners to garner his services as well. Similar to the Phillies situation mentioned above, the Yankees don’t need Corbin to be their proverbial “ace.” However, seeing as how the starting point for a contract with him should be along the lines of the contract that Yu Darvish signed prior to last season – 6yrs/$126mil – the Yankees will be paying an ace price for a guy who is really more of a solid number two. With that being said, the Yankees, who seem to want to move on from the Sonny Gray experience, are still going to be in need of adding an arm to fill out their rotation. Why settle for starting the season with an unproven arm like Chance Adams or Jonathan Loaisiga as your number five, when you could sign Corbin, and enter the season with 38yr old, CC Sabathia, to anchor your rotation instead? Who Should Sign Him: Houston Astros. The Astros were already looking at having to possibly replace two starting pitchers as both, LHP Dallas Keuchel and RHP Charlie Morton, were slated to hit free agency. Then they got the news that another one of their starters, RHP Lance McCullers Jr., was going to miss the entire 2019 season with Tommy John surgery. Even though the Astros do have a few arms – RHP Brad Peacock, RHP Colin McHugh, RHP Josh James, and RHP Forrest Whitley – that could step into the rotation to begin the season, adding an impact veteran arm like Eovaldi would allow them to bring along their younger arms (James and Whitley) at a more suitable pace; as well as having a contingency plan if either of the veteran arms of Peacock or McHugh don’t pan out. Who Will Sign Him: Boston Red Sox. Acquired from the Rays at the trade deadline, Eovaldi’s solid regular season performance was overshadowed by his now legendary one in October. Eovaldi pitched 22.1 innings over six games in the Playoffs including two starts, and a relief appearance for the ages. You could argue that he was the odds on favourite to be the World Series MVP until Steve Pearce did his best Reggie Jackson impression. Post season success aside, what makes a reunion with Eovaldi truly appealing to the Red Sox is that he gives them another right handed option – along with Rick Porcello – to offset their lefty heavy rotation. With few holes to fill this offseason, I expect the Red Sox to be more than willing to spend in order to upgrade both their rotation and bullpen. Who Should Sign Him: Cincinnati Reds. Despite being perennial cellar dwellers for the past number of seasons, the Reds have been one of the more talked about teams as far as trading for or signing a top tier starting pitcher. Rumoured to have inquired about the Blue Jays young righty, Marcus Stroman, it appears that the Reds are targeting pitchers capable of inducing a high rate of ground balls; which isn’t surprising when you consider that they play in a hitter friendly ballpark (Great American Ballpark). By targeting a free agent like Keuchel, it allows the Reds to refrain from having to part with some of their highly touted prospects; which in turn lets Cincinnati use them as trade bait for other needs. Speculation and rumours aside, one thought to keep in mind is that the Reds have historically shied away from offering lucrative contracts to high profile free agents. Who Will Sign Him: Philadelphia Phillies. Similar to the position the Yankees are in, the Phillies would like to add another arm but don’t need them to be their ace. Enter Keuchel. Despite his lack of velocity and low strikeout numbers, his pinpoint control, and ability to keep the ball in the yard due to a high ground ball%, make him a logical fit for a team that plays their home games in a sin bin like Citizens Bank. That being said, with Keuchel on the wish list of numerous other teams, the Phillies might not want to get in a bidding war for the services of Keuchel, and instead could look to acquire a top tier pitcher via trade. Who Should Sign Him: Toronto Blue Jays. This one is fairly straight forward; the Blue Jays need to add a veteran arm or two to help ease the workload on their young, and oft-injured starters. Having already had two stints North of the border in his career, Happ is no stranger to the organization, and that’s with taking into account the new coaching regime that is in place; although long time Pitching Coach, Pete Walker, does remain. Although a reunion between the two would make sense, at least on paper, for both parties, Happ’s potential price tag, and desire to win now, could be the reason that this doesn’t pan out. Who Will Sign Him: Los Angeles Angels. As stated in the previous article, the Angels should be doing everything in their power to surround Mike Trout with as much talent as possible. Seeing as how their biggest need, which there are numerous, is the starting rotation, targeting one or two of the top arms available should be priority number one for this offseason. Although there are “better” arms and “bigger” names available, the 36 yr old Happ might offer the best bang for the buck on the market. Since his resurgence with the Pirates in 2015, Happ has quietly been one of the more consistent starters during that time. The market for Happ should begin to heat up once the bigger names have signed, as the teams that missed out on their top targets begin to look at their Plan B’s. The Angels would be smart to not play the waiting game or they may risk getting in a bidding war and having to overpay. Who Should Sign Him: Oakland A’s. Who Will Sign Him: Washington Nationals. Despite looking like they were about to jump start a rebuild at last season’s Trade Deadline, not to mention potentially losing Bryce Harper any day now, the Nationals enter the offseason rumoured to be looking to add pieces. It’s hard to argue against the Nationals still believing that they have a window to contend as they still have a pretty stacked rotation and roster, but it is hard to see them shelling out big bucks for long term deals because a rebuild could take place at a moments notice. Morton, despite being 35, has been one of the top starters for the past few seasons in regards to strikeout numbers (364 K’s in 313.2 innings over the past two seasons) and average fastball velocity (95.4mph). Signing Morton would give the Nationals a solid mid rotation starter to pitch behind Max Scherzer and Stephen Strasburg, while not having to commit to a lucrative multi-year deal. It also allows the Nationals, if they plan on contending, to spend money elsewhere on other needs, as well as give them a potential trade piece if they are forced to sell off. Key Player(s) in 2017: P Dallas Keuchel. Saying that the 2015 AL Cy Young winner had a down year would be an understatement. Keuchel went from 20-8/2.48/1.01/216 in 232 innings to 9-12/4.55/1.29/144 in 168 innings in 2016. Yes, Keuchel did struggle with injuries throughout the season but when he was healthy, he struggled with his command and ended up surrendering more hits, walks and HR than his previous season. While the ‘stros did bolster their lineup in the offseason, they did not address a rotation that is one or two injuries away from a big problem. In order to become the clear cut favourite in the AL West, the Astros will need Keuchel to return to his 2015 form. Potential Breakout: P Joe Musgrove. A supplemental first round pick (46) by the Blue Jays in 2011, Musgrove was acquired by the Astros in the J.A Happ trade. Since then, Musgrove has shot through the Astros minor leagues and made his MLB debut in 2016. In 10 starts last season, Musgrove went (4-4/4.06/1.21/55 in 62 innings. Musgrove will open the season in competition with Mike Fiers for the 5th spot in the rotation. If he does not claim it, look for him to either go to the bullpen or be the first call up from AAA if an injury occurs. First Round Draft Miss: Jiovanni Mier (21st) over Mike Trout (25th) in 2009. Money’s Man Crush: In all honesty, what is not to love about the Astros? 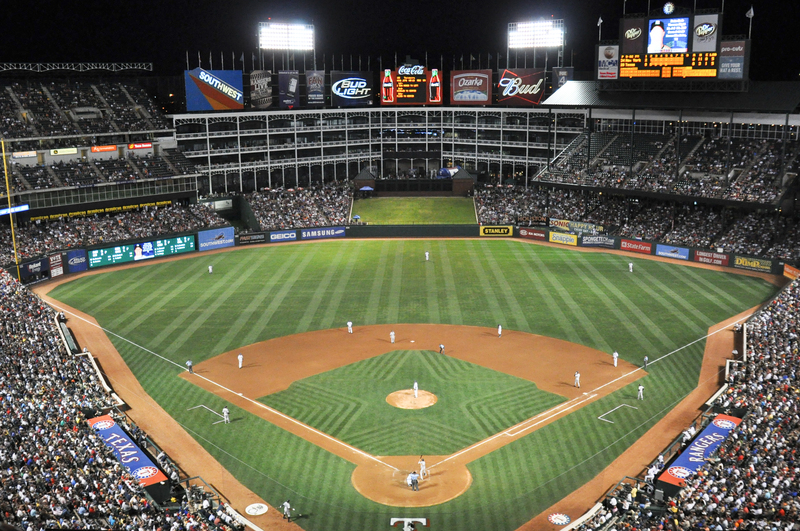 They play in one of the sexier ballparks in MLB. They have some of, if not the best throwback jerseys in the majors. And they’re loaded with an absolute embarrassing amount of young, talented players. It’s hard to pick whom to swoon over more when you have the likes of SS Carlos Correa, 2B Jose Altuve, RF George Springer, 3B Alex Bregman, P Lance McCullers, and that is just a sample smattering of the studs that the ‘stros possess. 2017 Prediction: 1st AL West. Key Player(s) in 2017: P Garrett Richards. After a breakout season in 2014 was cut short by a torn knee ligament, Richards once again had a season interrupted because of a torn ligament. In 2016, he made 6 starts before being diagnosed with a torn UCL. Although he required Tommy John surgery, Richards opted against the surgery, instead going with rehab and biometric injections similar to Platelet Rich Plasma (PRP). Although it will take a miracle short of Joseph Gordon Levitt seeing actual angels for the LA Angels to make the playoffs or even compete for them for that matter, Richards’ return and progress from injury could be a bright spot for the Angels that is not named Mike Trout. Potential Breakout: P Tyler Skaggs. Skaggs is currently in his second stint with the Angels. He was originally drafted by them in the first round of 2009 and then traded to the Diamondbacks in a package for Dan Haren in 2010, before being reacquired in a three team trade in 2013. However his 2nd debut for the Angels was cut short by Tommy John surgery which also kept him out for all of 2015. In 2016, Skaggs made 10 starts for the Angels, he went (3-4/4.17/1.49/50 in 49.2 innings. Skaggs did average a K/9 over 9 but also had a BB/9 of 4.2 in his limited action. With the Angels lacking depth on the mound and barring any setbacks or further injuries, you can expect Skaggs to set a new career high in starts since he made 18 in 2014. First Round Draft Miss: 3B Kaleb Cowart (18th) over OF Christian Yelich (24th), Aaron Sanchez (34th) and Noah Syndergaard (38th) in 2010. Money’s Man Crush: Nothing else needs to be said besides the name, Mike Trout. Key Player(s) in 2017: P Sonny Gray. The A’s righty went from being an All Star and finishing 3rd in AL Cy Young voting in 2015 to a minus WAR pitcher in 2016. Although Gray was limited to just 117 innings last season because of injury, his 11 losses, 5.69 ERA and 1.50 WHIP are all new career highs (or lows). Gray was also more susceptible to the long ball, with a HR/9 of 1.4 over a paltry .7 the year before. Batters were also making more frequent and better contact off Gray, as he set a new career high in H/9 with 10.4. The A’s will need Gray to have a big bounce back season if they have any aspirations of competing to even break .500. A rebound season would also be beneficial to Gray’s trade value if and when the A’s start taking calls. You know Billy Beane won’t hesitate to make a deal for Gray if the right one comes along. Potential Breakout: P Sean Manaea. The key piece that the A’s received from the Royals in exchange for Ben Zobrist in 2015, Manaea made his MLB debut in 2016 and looked very impressive. Manaea posted a stat line of 7-9/3.86/1.19/124 in 144 innings and had a WAR of 2.7. The continuing emergence of Manaea could make the thought of trading Sonny Gray that more enticing, especially if the A’s stumble out of the gate. On the flip, if the A’s do have a surprising season, you can bank on Manaea to be a vital contributor to the cause. First Round Draft Miss: P James Simmons (21) over Rick Porcello (27) in 2007. Money’s Man Crush: I will tell you what it isn’t, it’s sure as hell not that archaic cesspool of a ballpark that the A’s play in. Luckily for the fans, the A’s have some of the sweetest throwback jerseys in MLB which gives them something to take their mind off the fact that the sewage system could backup at anytime. As far as which throwback is best, you can’t go wrong with any version from 1967-1976 or the late 80’s-early 90’s. Key Player(s) in 2017: C Mike Zunino. Despite bringing in veteran backstop, Carlos Ruiz, in the offseason, the starting catching position is really Zunino’s to lose. With the dreaded word “bust” starting to float around more and more, this could be a make or break year for the former 3rd overall pick in 2012. Entering his 5th season, Zunino will need to improve his offensive production if he has any hopes of being the starting C for the entire season. Through four seasons, Zunino has produced a career stat line of .196/.632/50/133/1.8 WAR in 350 G. With the Mariners having division title and playoff ambitions, they will need production out of their C position. They will not have time to sit around and wait on Zunino. Potential Breakout: P James Paxton. Every season it seems that Paxton is poised for a big breakout. He will rattle off a series of great starts before getting bit by the injury bug and hitting the shelves for an extended period of time. When he is healthy, Paxton shows signs of being one of the better young southpaws in the game. Unfortunately for him and the Mariners, his inability to remain on the field has prevented him from reaching his full potential. With Taijuan Walker’s departure, Paxton will be leaned on a little more this season, especially with the Mariners hopes for October baseball. First Round Draft Miss: P Danny Hultzen (2nd) over everyone else (Rendon, Lindor, Baez, Springer, J. Fernandez and S. Gray) in 2011. Key Player(s) in 2017: P Yu Darvish. In 2016, Darvish made 17 starts in his return from Tommy John surgery. He went 7-5/3.41/1.12/132 in 100.1 innings, clearly showing very little signs of rust. 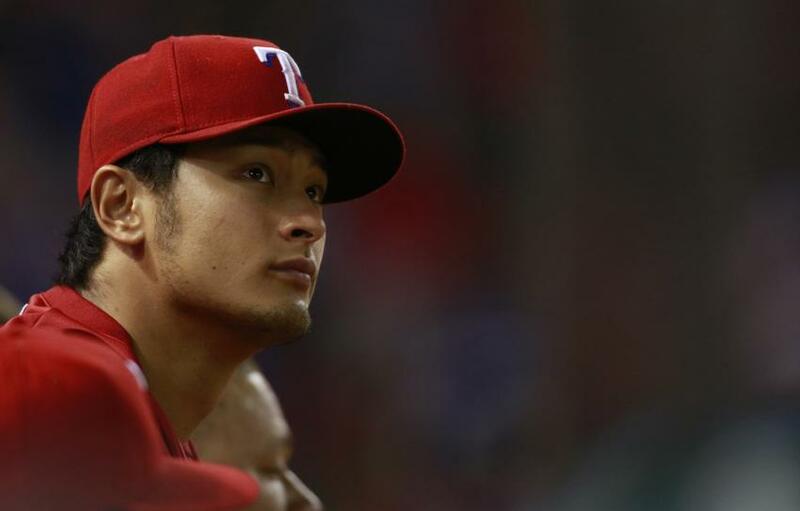 With both the Astros and the Mariners fortifying their rosters in the offseason, while the Rangers lost key pieces to their 2016 success, a return to dominance for Darvish will be vital for the Rangers to defend their AL West title. 2017 will also be the final one in regards to Darvish’s contract. His performance this season will dictate which kind of deal he will land and perhaps where it will be too. Personally, I doubt that the Rangers will let Darvish get away but I would not be surprised at all to see him test the free agent market and compare offers. Potential Breakout: 3B Joey Gallo. Signing of Mike Napoli hurts his chances of landing the everyday 1B job. Has worked at making himself more versatile and can also play 3B and LF, as well as DH. Gallo has light tower power but his all or nothing approach at the plate (76 strikeouts in 133 AB for his career) has hindered his offensive progression. At 23 years of age, Gallo is still young enough for the Rangers to be patient with his free swinging ways but for his own production, Gallo will need to drastically cut down on his K’s if he has ambitions of being an everyday DH while he waits for a position to open. First Round Draft Miss: OF Jake Skole (15th) over Christian Yelich (23rd) in 2010. 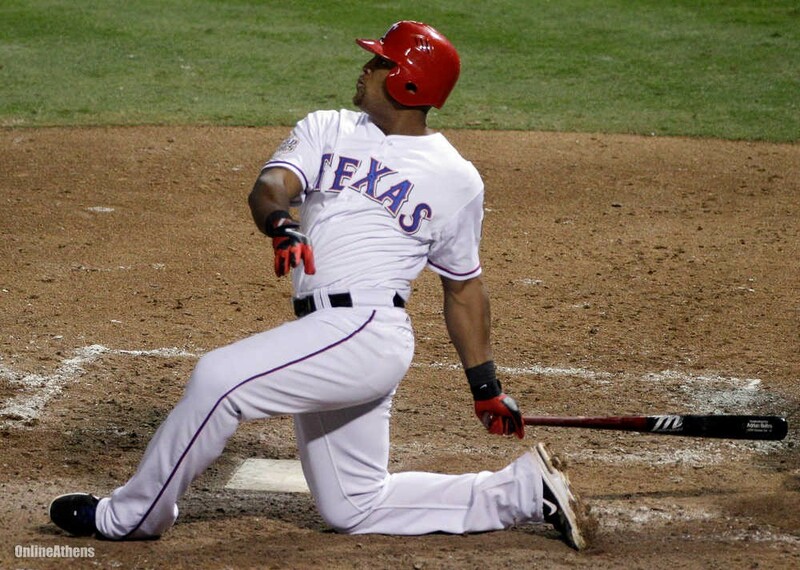 Money’s Man Crush: 3B Adrian Beltre. If you’re a baseball fan and you don’t love Adrian Beltre then we can never be friends. Adrian Beltre: It seems almost a lifetime ago that Beltre mashed 48 HR with the Dodgers, but that was only 11 years ago (wow). Remember when he parlayed that season into a monstrous free agent contract in Seattle, only to have people question if he had anything left in his tank after the contract expired? Remember how he silenced those same critics by putting up a (near) career year in Boston (.321/28/102) after signing a one year deal? How about how he established himself as one of the premier 3B in the game after four straight dominant seasons in Texas? During his four year tenure in the Lone Star State, Beltre has hit .315/117/376 in 589 games, made three All Star teams, won two Gold Gloves, two Silver Sluggers, and finished 3rd in MVP voting in 2012. Not too shabby for a guy who seemed to be in decline following his days in Seattle (2008). Besides raking at the plate and playing exceptional defense in the field, Beltre has also managed to play himself into the Hall of Fame conversation. Beltre currently sits with a .285 career average, 395 HR, 2604 hits and four Gold Gloves; those numbers alone are borderline Hall of Fame worthy. Now factor in that Beltre could feasibly play another 3-5 years and perhaps reach 450 career HR and 3000 hits. How does this guy not get into Cooperstown? Seeing Prince smash baseballs (again): The Big Man only hit 3 HR in 150 AB in his Texas debut before being shut down for the season to undergo spinal fusion surgery on a herniated disk in his neck. When healthy, Fielder is among the elite power threats in MLB and his power should play well in his home field. Top of the order: RF Choo, SS Andrus, 1B Fielder and 3B Beltre. 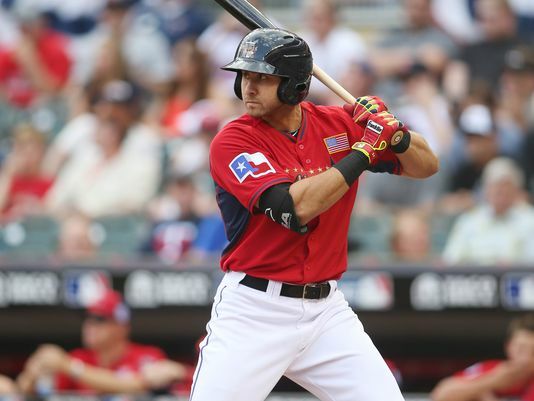 Joey Gallo’s power: Rangers top prospect might have best power in the minor leagues, having hit 104 HR in three minor league seasons. Watching Beltre LOSE IT when someone touches his head: Just don’t do it! Depth of Starting Rotation: Even before receiving the (disastrous) news that rotation ace, Yu Darvish, would be lost for the entire 2015 season because of Tommy John surgery, the Rangers were already being faced with a pretty thin starting rotation. Aside from the injury to Darvish, the Rangers also have starters, Matt Harrison and Martin Perez, currently sitting on the shelf with injuries. Perez will be out until mid season as he recovers from his own Tommy John surgery, while Matt Harrison, who was originally rumoured to have his career ended by injury, could potentially return by mid season as he battles back from lumbar spinal disk fusion surgery. Heading into 2015, the Rangers will look to LHP Derek Holland to anchor the rotation, although Holland too has struggled to stay healthy and has spent time on the DL. Yovanni Gallardo was brought in from Milwaukee via trade, but with a diminishing fastball and strikeout rate who knows what to expect from the new arrival. The backend of the rotation doesn’t get much better as it will be rounded out by the trio of RHP Colby Lewis, LHP Ross Detwiler and RHP Nick Tepesch. 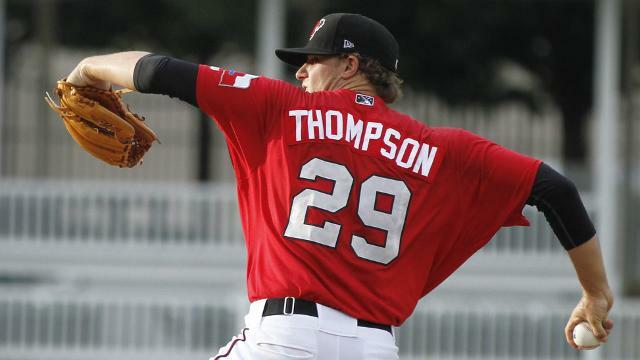 There is also a possibility that top pitching prospect, Jake Thompson, who was acquired from Detroit for RP Joakim Soria, could make an appearance in the rotation at some point during the season. Yu Darvish’s Torn UCL: Rotation implications aside, Tommy John surgery for the Rangers ace will prevent fans from seeing one of the best in the game until mid 2016 (at the earliest). Bottom of the order: DH Mitch Moreland has the most offensive upside after the top of the order. After him, things could get bleak. The lineup should be rounded out by the likes of LF Jake Smolinski, CF Leonys Martin, 2B Rougned Odor and C Robinson Chirinos. Remaining contracts of Fielder, Choo and Andrus: Fielder will get a princely sum of $24mil per year through 2020, Choo will get $20mil a season through 2020 and Andrus will make $15mil a season through 2020. Jurrickson Profar’s days as a top prospect: Two years removed from being the consensus best prospect in baseball, Rangers fans will have to wait until 2016 to see their former elite prospect back on the field after suffering (another) shoulder injury. On the DL: Rangers set a MLB record in 2014 when their players spent a combined 2116 days on the Disabled List. 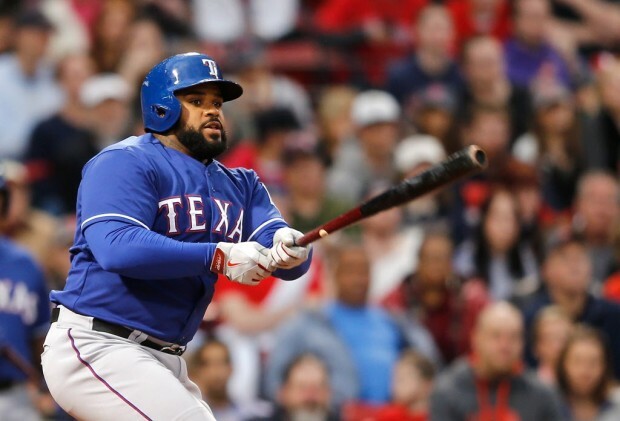 Player to Watch: 1B Prince Fielder. It is really hard to get a pulse on what type of player Prince will be following his return from spinal fusion surgery. While the Rangers, and baseball fans far and wide, will hope to see the big man return to his old ball crushing ways, there will be no guarantees that he returns to his former dominance. As a batter, Fielder puts every possible ounce of energy he has into each and every swing. This, in turn, could be extremely dangerous and detrimental to the injury, and subsequent surgery, that cost him his 2014. Even more concerning, is knowing that there is a possibility that the spinal surgery could cause further regression and force Fielder from the game early; similar to what happened to his father, Cecil. Personally, even as a Blue Jays fan, I hope that the big man comes back better than ever. MLB is that more exciting when Prince is mashing.